There is no doubt that it gets hot in North Carolina during the humid summer months. When the temperature starts to rise, so does your energy bill. There are some easy ways to stay cool during the summer months without putting a dent in your wallet. Use the following tips to keep energy costs down this summer. Close the blinds – You may be tempted to open the blinds on a bright day to let some sunshine in but keep in mind that where there is sunlight, there is extra heat. Keeping the blinds closed will keep your air conditioner from working overtime to make up for the added heat. 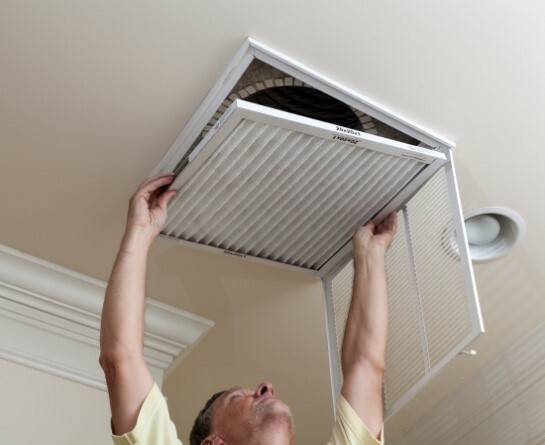 Change filters regularly – A dirty air filter will make your HVAC system work harder to push air throughout your home. Filters are usually pretty inexpensive so make sure you change them often. Usually once every couple of months will do but if you have pets, you may need to change the filter once a month. Unplug unused electronics – Unplug things such as your toaster, coffee pot, lamps, DVD players, and other things including phone chargers when they are not being used. Although they only use a little bit of energy (only about 2%) when they are off, they are still using some and over time, the costs will add up. Wash laundry and dishes after the sun goes down – Appliances such as the dryer and the dishwasher produce heat. Try using them in the evening to keep extra heat out of your home. Make sure to clean the lint trap after each use to allow the clothes to dry faster. As a property owner, it is up to you to do your part as well. Make sure that the property is well insulated. Also, seal any holes or gaps that allow outside air to flow into the home. Contact your local HVAC Company to set up scheduled maintenance on HVAC units. A properly running unit will run far more efficiently than one that is not well maintained. With an increase in gas prices, food and other necessary expenses, any amount of extra money can be a big help. If you put these tips to use, you are sure to see a significant change in your monthly energy bill.